I hope you all have had a wonderful week! I know I have…although it’s been busy. I’m thankful for the weekend, especially when today is so bright and sunny! My doctor called yesterday and said my bloodwork had come back and I’m low on iron. To be honest, I’ve never been tested before, so I wondered how long I’d been low. Was this just a pregnancy thing or have I always been slightly anemic? I kind of surprised me a bit too, because I so pride myself on getting in all my nutrients. I guess I wasn’t getting enough. Have any of you dealt with low iron before, especially during pregnancy? What did you do besides take iron supplements? Also, before I get to my five minutes of writing, I wanted to remind you to check out Newlywed’s Bliss today. I’ve got a new post over there about not comparing your marriage to other’s. Also, be sure to like Newlywed’s Bliss’ page on Facebook and follow them on Twitter! How can I say anything about the word “empty” when I feel so full right now…full of blessings, full of life growing within me! But then, there have been times I’ve felt empty. Times when I felt like I was just “going through the motions” and just doing life without actually living. There were those times of winter, when I felt as bare as the trees around me, when the sky reflected the grey flatness of my own soul. And today? My soul is as deep and joyful as the bright blue sky. With every new flower that creeps up or every new tree that blooms, my soul sings with them. The seeds placed there to last through the winter are now springing up. It’s springtime. Emptiness doesn’t seem to have any place here now. And yet, I know, that winter will come again. Winter will make my soul barren and empty. But, for now, I delight in the time God has given me. I delight in how full I feel in my work, in my marriage, in my walk with God, and in my life. I do not feel empty when I live in the moment and the season that God has given me. Be sure and join us today! Congratulations! I'm so happy that you are full of joy right now. Yes, sorrow and emptiness will pass through again. Thankfully the Lord is always with us to fill us again with His love and grace. 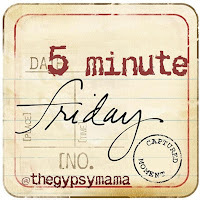 So glad to have found your blog through Gypsy Mama. I think you explained it very well. You are in a season of fullness right now. But a winter season will come again, it cycles around again and again. Our job is to fill our souls up with as much of Him as possible to make it through when lean times come again. God bless you, and I'm so excited for you to experience this wonderful season you are in. You're so right…how often I forget that we need to work on that! Thank you for stopping by!